You may be forgiven for thinking that President Obama had decided on the future of NASA’s human spaceflight plans yesterday, but in an official (note: official) statement from the White House today, Obama says that he has made no such decision. The president chose the new direction for the U.S. human space flight program Wednesday at a White House meeting with NASA Administrator Charles Bolden, according to officials familiar with the discussion. NASA would receive an additional $1 billion in 2011 both to get the new launcher on track and to bolster the agency’s fleet of robotic Earth-monitoring spacecraft. In a nutshell, NASA would get an additional $1 billion in funding and start work on a new (yet undetermined) heavy-lift launch system. Good news for NASA, but not-so-good news for the Ares I (and possibly Ares V, although the larger rocket wasn’t mentioned). Also, this magical silver bullet of a “new” launch vehicle would be ready for blast-off in 2018. NASA and White House officials claim such reports are mere speculation, but they are providing no information on when a decision could be announced. The administration will file its fiscal year 2011 budget request in February. Still mulling over the findings from the Augustine Commission report, Obama and Bolden have yet to arrive at an agreement as to how to progress with NASA’s human spaceflight plans. It’s now very clear that ex-President Bush’s bold “Vision for Space Exploration” was lacking a little thing called money, and the commission’s findings indicated that NASA needs an extra $3 billion in funding to keep the agency’s human spaceflight plans alive. Although these anonymous sources are no doubt credible, it’s wise to wait until the final word from the White House is known before saying “bye-bye” to Ares. Ares I-X: Will This Be The Only Launch Of Constellation? This is possibly the most confusing image I have seen since I started writing about human space flight. In the foreground, we have the brand new Ares I crew launch test vehicle for the Constellation Program (a.k.a. 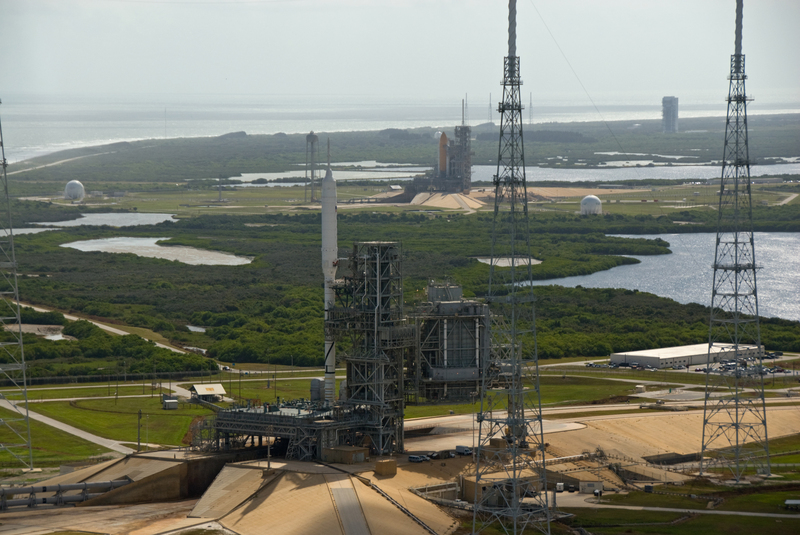 the Ares I-X), and in the background we have space shuttle Atlantis awaiting its scheduled Nov. 16th STS-129 launch. Is this going to be a historic scene of the past and future generations of U.S. manned space flight? Or is this going to be an example of how to waste a lot of money very quickly in one launch? The world should be bubbling over with excitement that we are about to see a brand new launch system take to the skies on Tuesday at 8am EDT (albeit on a suborbital path) but it’s not, as hanging over the Constellation Program is the decision to come from the White House after the Augustine Commission report was released on Thursday. No one expected good news for the Ares I rocket, and nothing much has changed. NASA is developing the wrong rocket for the wrong destination (i.e. the Moon). On the one hand, I want to see the Constellation Program become the trailblazer of manned spaceflight, but on the other hand I’m concerned that the program is too flawed and too expensive (pretty much in agreement with the Commission). Perhaps a cheaper, more efficient alternative can be implemented to solve our current space exploration woes? NASA definitely needs the support of commercial spaceflight, perhaps a focus on stimulating the commercial sector should take an even higher priority than space station resupply contracts? There are arguments for and against Constellation, and I haven’t worked out where I stand yet. However, I totally support Norm Augustine’s comments that NASA shouldn’t be “running a trucking service” in low-Earth orbit. That job should be left to commercial spaceflight companies. NASA should be pushing into new frontiers with the most technologically advanced spaceship they can develop. So, back to this photo. Never before has the term “bitter sweet” been so applicable. I just hope we see a perfect launch on Tuesday, but it may well be the only flight of Constellation (so be sure to wake up early, just in case). Author Ian O'NeillPosted on October 25, 2009 Categories Featured Articles, NASATags Ares, Ares I-X, Augustine Commission, Constellation Program, NASA, Rocket launch, Space Commercialization11 Comments on Ares I-X: Will This Be The Only Launch Of Constellation? Ares I-X: The Beginning And The End For Constellation? The 327 ft tall Ares I-X is currently waiting inside Kennedy Space Center’s Vehicle Assembly Building for its delayed 4.2 mile rollout to the launchpad. Originally scheduled for Monday, the rollout was postponed by 24 hours when engineers spotted a nitrogen gas leak on Oct. 14th. It would appear the problem has been rectified and we can look forward to seeing the tallest rocket on the planet roll out to Pad 39B by Tuesday morning. 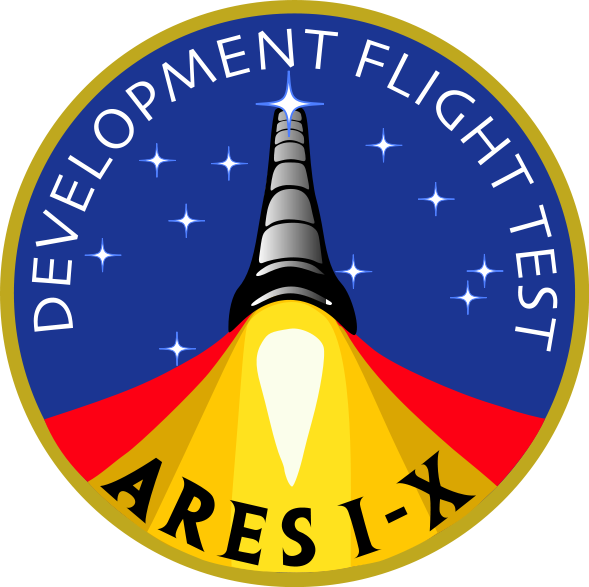 Unfortunately, the Ares I-X test flight is generating little excitement, even though NASA is heralding the scheduled Oct. 27th launch as “the First Flight of a New Era.” When there’s talk that the Constellation Program might be scrapped all together to allow for a cheaper alternative, there’s little wonder that even the most excited space flight enthusiasts are looking at the slender white frame of the Ares I-X thinking, will this be the only launch of the Constellation Program? This negativity isn’t unfounded either. As we await the final report from the Augustine Commission (to be delivered to the White House later this week), one of the conclusions could be that Constellation is more hassle for NASA to complete rather than to scrap. In this case Ares I-X will have become a very expensive firework. Although it is unlikely the White House will decide on a course of action before Oct. 27th, I can’t help but think the outcome of Constellation would have been decided before the Ares I-X has even blasted off. No matter how well the four-stage test rocket performs during its 28 mile-high suborbital flight, the project could still be shelved. But what if there are several options for NASA as the Commission Report summary suggests? Could the Ares I-X launch be the decision maker? The Oct. 27th launch will be an amazing event in itself (and I’m dead excited to see that monster thunder into the skies), and unless an overlooked technical problem rears its ugly head, we’ll see the test launch of a brand new rocket system. What’s not awesome about that? If the Ares I-X blasts off perfectly, and the Ares design is proven to be free from vibrations and other design flaws, could a proof of concept sway the decision in favour of keeping Constellation in development? Possibly. Regardless of the conclusions to come out of the Augustine Commission, the launch of Ares I-X will mark a crossroads for manned spaceflight. History will be written, but will history favour the Constellation Program? I don’t think I could place a bet either way. Author Ian O'NeillPosted on October 19, 2009 Categories Featured Articles, NASA, Space FlightTags Ares, Ares I-X, Constellation, Constellation Program, Launch, Rocket3 Comments on Ares I-X: The Beginning And The End For Constellation? Although there are doubts about Constellation, and NASA recently announced a “plan B” launch option for a return trip to the Moon, Orion development continues as planned. Next up is the development of the Orion shock absorbers, intended to take the sting out of the return capsule’s landing. Tests are currently being carried out at the Landing and Impact Research Facility in NASA’s Langley Research Center on the seat pallet that will protect the Orion astronauts’ from the shock of touch-down. It is hoped Orion will be a land-anywhere capsule, including land and water. In fact, I am a little bit excited about the planned landing spot in the Pacific Ocean, not far from Catalina Island, off the Los Angeles coastline. That’s just down the road and a small swim from me! The seat shock absorbers won’t only be used for landing, it is hoped they will mitigate much of the launch vibration effects caused by the Ares I crew launch vehicle. These tests are a result of studies of how much vibration crew members can take before it becomes difficult to read instrumentation displays and react to situations during launch.